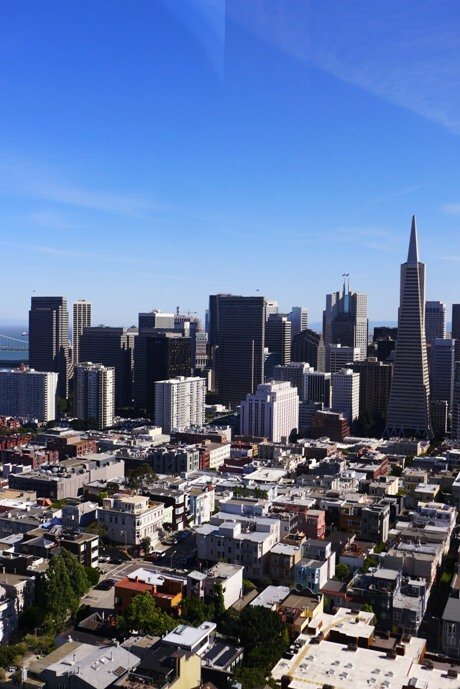 San Francisco has thousands of things to do and a few great places to explore. From its beautiful waters and hilly cityscape, and from great food scene to the contemporary art spaces, there’s always something in store to please anyone. And yes, I am (pleased) overjoyed with all the things I’ve done in this city. In fact, I like this more than New York city — it simply has more cultural depth to me than NYC. I’m not sure whether it’s the science behind the art (the aging process) or the art themes (the traditional San Franciscan life) or its massive sizes (talk about occupying a building’s interior) that drew me to these art works, but they are so fantastic. I could spend days looking at them, if only time were unlimited. The Beach Chalet and the Coit Tower are famous places for these, and I wish I could’ve joined a tour going up the Coit Tower via the staircase, a pathway not accessible to the visiting public. 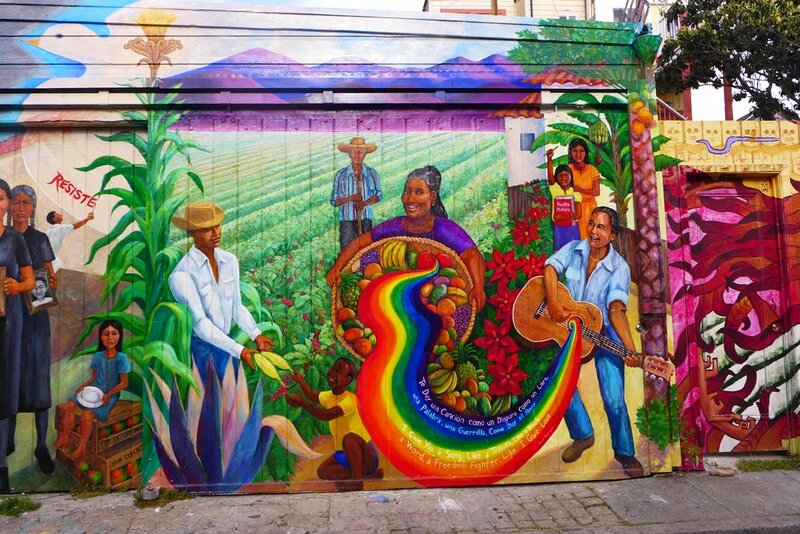 Mission’s murals, on the other hand, is testament that creativity is very much alive in the city. The vibrant colors would surely attract your eyes toward these piece and the intricate details are sure to impress anyone. The Civic Center was beautiful enough with its European influence in architecture. The City Hall was jaw-droppingly beautiful, no wonder a lot of brides chose to get married here. It was, however, the abundance of wedding couples that made my visit so remarkable — I witnessed eight weddings in just thirty minutes! Whatever your race or your sexual preference is, all is fair in love. I never thought that a city hall would be so romantic. California deserves to be famous for its Mexican food. Forget sourdough that’s akin to San Francisco; the Mexican dishes rise to fame. Be it quesadilla, or a burrito, or a tamale, any of these will convert you to a Mexican food lover. 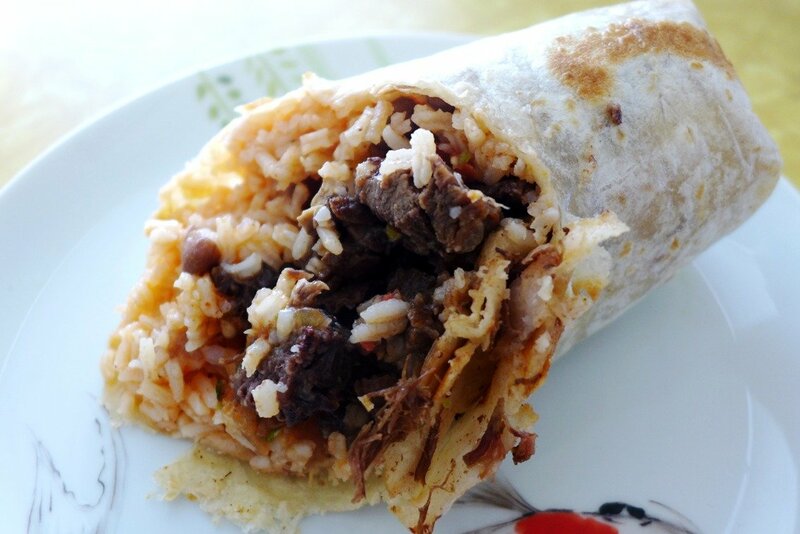 I don’t think I’ll ever have as good a burrito in many years…until I get to Mexico perhaps. It was in India when I first attempted to speak Spanish with someone. Here in San Francisco, I tested my Spanish speaking abilities again: to order food this time. Since we were in Mission, it was best to speak Spanish. The cashier perfectly understood my order, but I had to speak English when he asked me whether it was for dine in or to go! Perhaps it was only in San Francisco that I got to see that many bird’s eyeview of the city. The Bernal Heights Park was the first viewing, followed by the Coit Tower. The DeYoung Observatory was the final one. Each view was different from the rest, owing to the varying heights of hills on which the buildings were anchored. 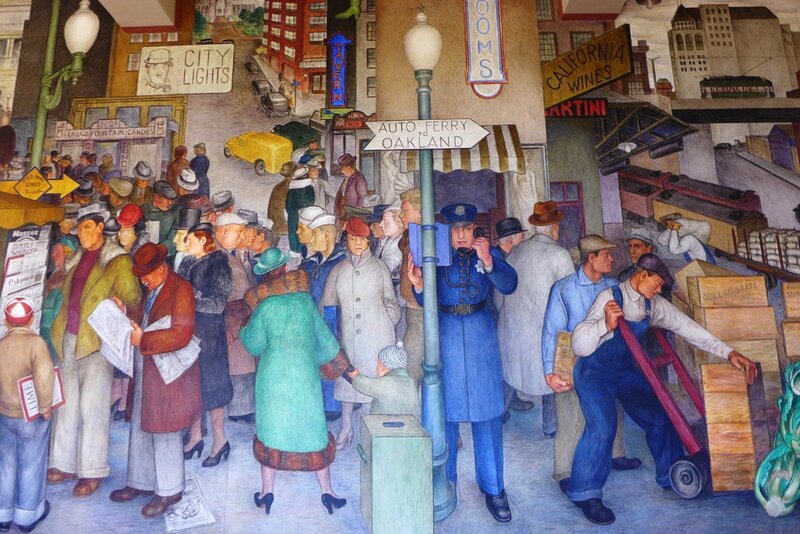 My favorite remains to be the Coit Tower, since it’s where you see much of the city landscape. A very long queue at the Farmer’s Market at the Ferry Building took our interest, until we found out that it was a line for goat petting. I was surprised to see people carrying goats, and people treating them like pets. Such a culture shock for someone from the tropics, where nobody wants to touch a goat. It was sad to leave San Francisco, but I had to find my way to the east coast. More on my wonderful train journey to the midwest next time.